Aim: To evaluate retention of complete denture base with different types of posterior palatal seals. Material and methods: Ten male patients between the age group of 50 years to 60 years were selected for the study. 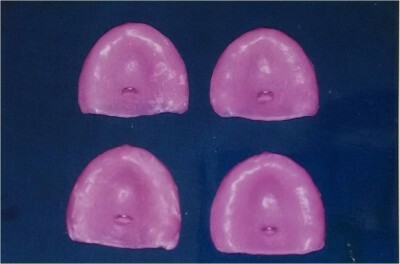 After the primary and secondary impressions were taken, five casts were made including a cast without posterior palatal seal, a cast with single bead posterior palatal seal, a cast with double bead posterior palatal seal, a cast with butterfly shaped posterior palatal seal, and a cast with posterior palatal seal with low fusing compound by functional method. Results: It was observed that retention increased up to 108% in the posterior palatal seal with low fusing compound with functional method and the posterior palatal seal that was obtained by using functional method provided greater retention than a denture base without posterior palatal seal. Conclusion: It was concluded that the incorporation of a posterior palatal seal is important for obtaining optimum retention of the maxillary complete denture.